I was delighted to see Edwulf produce that performance in the Novice Handicap at Naas on Sunday. I’ve always thought him good enough to mix it with the smart novices, but his jumping has let him down on occasions in the past. We’ve kept our options open with him, he’ll have entries in the National Hunt Chase and RSA Chase at Cheltenham. He’s received a 7lb rise from the handicapper and that takes him to a rating of 152. A handicap like the Leinster National is also an option at Naas next month. The BoyleSports Irish Grand National could be another option but it might come a year too soon. I’ll let JP McManus and Frank Berry discuss it and we’ll make a plan then. I wasn’t too disappointed with Landofhopeandglory’s third in the Winning Fair at Fairyhouse. He hadn’t run since Christmas and the ground was very heavy. He travelled well until tiring in the home straight. He’ll get entries in the Triumph Hurdle and Fred Winter and we’ll decide next week which option to take. 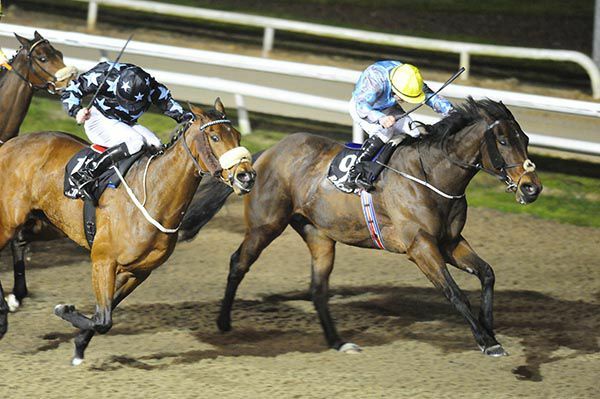 At Dundalk on Friday evening, Ligeti followed up his win last week in the ten furlong handicap. We had concerns about the step up in trip so Ana (O’Brien) dropped him out and rode him with plenty of confidence. He’s received a 9lb rise from the handicapper which takes his rating to 72. Personally, I thought 9lb was harsh for a 1/2 length victory and it remains to be seen if more improvement is forthcoming. We’ve entered him again for next Friday night. He’ll have to step up in grade now, he’s won two 45-65 graded races. We’ve decided that we’ll keep our recent Punchestown bumper winner Early Doors for the Land Rover Bumper on the opening day of the Punchestown festival. West Coast Time will get an entry in the Champion Bumper at Cheltenham. 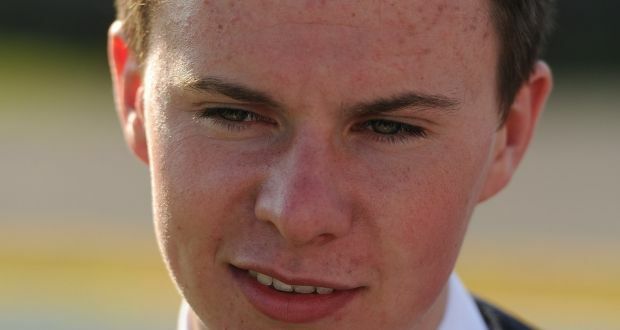 I think time will tell that the second placed effort to Carter McKay at Naas was a good run. Hopefully he’ll be on our Cheltenham team. Before I finish, I’d like to wish Barry Geraghty a speedy recovery after his fall at Kempton on Saturday. Jockeys can become quite selective as to what they ride with Cheltenham approaching, but falls are part and parcel of a jump jockey’s life, and some are worse than others. 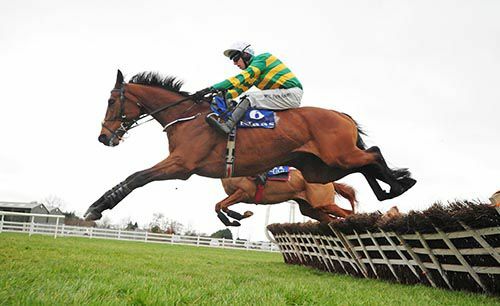 Hopefully he’ll be back for Aintree and the spring festivals in Ireland. 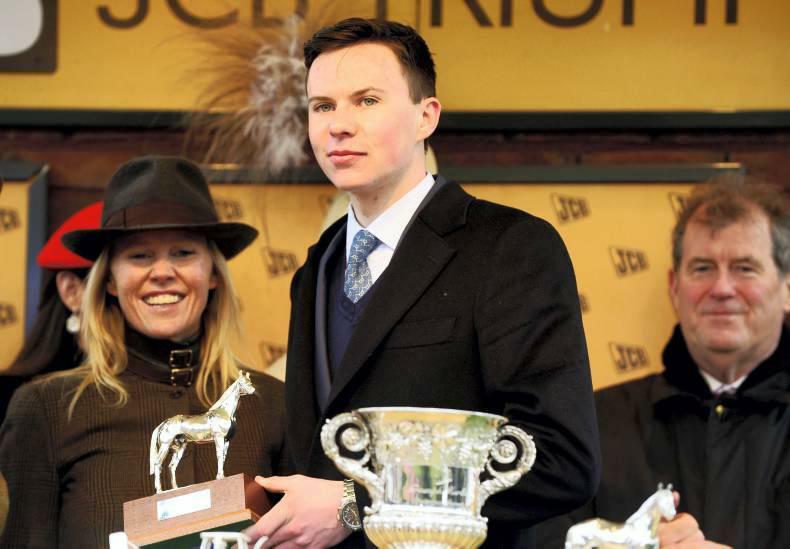 Joseph O'Brien expects Landofhopeandglory to go for gold in the JCB Triumph Hurdle at next month's Cheltenham Festival. The four-year-old also has entries in the Fred Winter, the Supreme Novices' Hurdle and the Neptune. However, after finishing third behind Dinaria Des Obeaux in a Grade Three event at Fairyhouse on Saturday, O'Brien believes the Triumph on March 17 is the most likely option. He said: "Landofhopeandglory ran well as he hadn't run for two months and it was heavy ground. I was happy with him. More than likely he will go for the Triumph rather than the Fred Winter. He seems OK and hopefully he will be OK during the week." O'Brien is also mulling a run in the Weatherbys Champion Bumper for West Coast Time, who was beaten by Carter McKay at Naas earlier this month. He added: "West Coast Time is a possible for the Bumper at Cheltenham, but he wouldn't want the ground too quick. He won well in soft ground at Cork." 26.02.17 Edwulf comes in for support. Joseph O’Brien’s Edwulf has been slashed to the 7/1 second favourite from 14/1 for the National Hunt Chase Challenge Cup. The JP McManus owned 7-year-old landed the Novice Handicap Chase by eight lengths at Naas on Sunday and was the subject of instant support for a win at the Cheltenham Festival. Robbie Power stepped in for the injured Barry Geraghty on Edwulf, and the top-weight defied his eleven stone ten burden in style to land the Grade B Woodlands 100 Club Nas Na Riogh Novice Handicap Chase at Naas. A faller at Navan a week back, here the J P McManus-owned and Joseph O'Brien-trained Kayf Tara gelding travelled well through the two and a half miler. Power was patient from the back on the eight-year-old, but he moved up to track the leaders five out and he eventually led after two out. Ridden to assert on the run-in, Edwulf kept on strongly to defeat Space Cadet by eight lengths. Pace-setting favourite Velocity Boy faded to be five and a half lengths back in third. Joseph said: "Puppy gave him a great ride. He jumped very well today and I'm delighted with him. I always thought he was better than a handicapper but his jumping has let him down all year. Hopefully he can keep things together now.He's in the four-miler and the RSA, and there is also the Leinster National back here. We'll see how he comes out of this and make a plan for him.He gets three miles, and he has as good a chance as any horse of getting four but you don't know until you run." On other plans Josephsaid Landofhopeandglory ran well as he hadn't run for two months and it was heavy ground. I was happy with him. More than likely he will go for the Triumph rather than the Fred Winter. He seems okay this morning and hopefully he will be okay during the week. "West Coast Time is a possible for the bumper at Cheltenham but he wouldn't want the ground too quick. He won well in soft ground in Cork." For the National Hunt Chase Paddy Power go 6/1 from 14/1 whilst Edwulf is 14/1 from 25/1 for the RSA Chase. Boylesports are 6/1 (from 14/1) about Edwulf for the four miler. 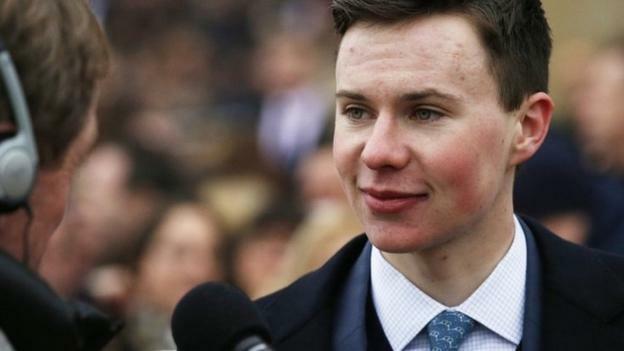 Joseph O'Brien feels Landofhopeandglory has plenty on his plate in the Winning Fair Juvenile Hurdle at Fairyhouse on Saturday. The son of High Chaparral was the star performer in the division in the first half of the season in Ireland, winning his first three starts over hurdles, including over course and distance in December. 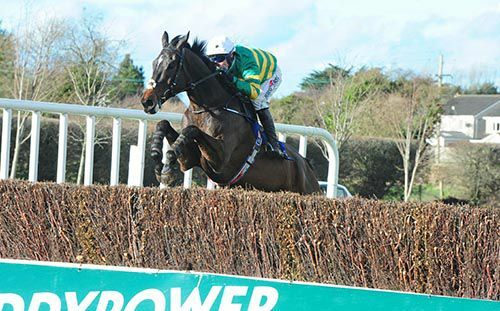 He suffered his first defeat when splitting Bapaume and Mega Fortune at Leopardstown over Christmas, but the form stands up well as that duo filled the first two places in last month's Spring Juvenile Hurdle. Landofhopeandglory returns from a short break in this Grade Three contest as he aims to book his place at the Cheltenham Festival in less than three weeks' time. O'Brien said: "He's in good form, but the ground won't be ideal for him and he has to give away weight, so I'd say it will be a tough enough race for him. "Hopefully he'll run well and it will leave him right for Cheltenham. We're putting a tongue-tie on him, which won't do him any harm. "He's entered in the Fred Winter and he's in a couple of the open novice races at Cheltenham as well, but the Triumph Hurdle looks the likely target at this stage." Landofhopeandglory is the headline act in a 10-strong field, with O'Brien also saddling high-class Flat performer Sword Fighter. The son of Galileo won the Queen's Vase at Royal Ascot and the Curragh Cup last summer, but has been well beaten on his first two starts over jumps. "He has been a little bit disappointing and I think the slower ground might actually suit him better," said the trainer. Odds-on Ligeti (4/5) hit as high as 9/1 in running on the betting exchanges, but he justified his starting price in the end to land division one of the Ready Mixed Concrete Handicap at Dundalk. Ana O'Brien rode a patient race from towards the rear on the Rip Van Winkle gelding, and though he made ground down the inner two furlongs out, it looked a stretch to think he'd get there to win. Sixth a furlong and a half out, Ligeti got to second from the furlong pole and Joseph O'Brien's charge challenged inside the last. The Michael Tabor-owned four-year-old led in the last hundred yards, keeping on well to beat Cristy's Call by half a length. There was an impressive winner of the concluding Family Saturday At The Festival INH Flat Race when Joseph O'Brien's Early Doors ran away with the extended two miler under Patrick Mullins at Punchestown. O'Brien admitted in the aftermath: "He surprised me a bit but we liked him a good bit at home. I was a bit worried about the ground as he's out of a Desert Prince mare but he seemed to handle it well." The County Kilkenny-based handler's concerns about the heavy surface were brushed aside when the Soldier Of Fortune gelding stretched away from a furlong and a half out to beat one of the joint favourites, Remastered, by nine lengths. "Paddy was very positive about him when he came in," elaborated O'Brien. "That's his first time off the bridle, and he was impressive. I don't know if we will travel over (to Cheltenham). It may not be the right thing when thinking of the bigger picture, and he could have a good chance in the sales race back in April." He’s had a great winter, he’s riding well and he now tops the All-Weather apprentice jockey standings. He is possibly smaller than me but obviously he’s still taller than the majority of flat jockeys. But he is handling his weight very well at the moment. My sister Ana is also riding well with another winner last Friday, so she’s fourth, two winners behind Donnacha. It’s been good for all of us at Dundalk this season and long may their form last. It’s exciting to see. Edwulf was our best runner this weekend so it was frustrating when he fell in the Ten Up Novice Chase at Navan on Sunday. He fell at the second last first time around, so he didn’t even get halfway. It was disappointing and we’re going back to the drawing board with him. Obviously, if he’s to go to Cheltenham he will have to run again and there’s a handicap chase next week for him that might work. That’s the first opportunity I can see to get him out again, so we will look to that and go from there regarding Cheltenham. It’s not completely off the cards yet. His race was won by Acapella Bourgeois, who got an uncontested lead and went on to win by 32 lengths. I didn’t see any of the race live after Edwulf fell, but from what I have seen the horse got away in front and they never looked like catching him. Nor did they ever get any closer to him, so it’s hard to say that, when they didn’t make up any ground early on, it made any difference. I think he has proven himself on the day and time will tell if that form stands up. We weren’t the only ones frustrated on Sunday as the favourite Ballyoisin took an incredibly unlucky fall when leading the 2m1f novice chase. He just pecked at the back of it and lost his balance. You couldn’t say he definitely would have won, but he couldn’t have been going any better than he was at the time of that fall.I suppose he would have put it up to the winner Ball d’Arc for sure and it looks like his connections are now looking forward to an exciting season with him. I was impressed again by Sutton Place in the Boyne Hurdle on Sunday. He’s been very good all year and looks a very classy horse, with a big engine. 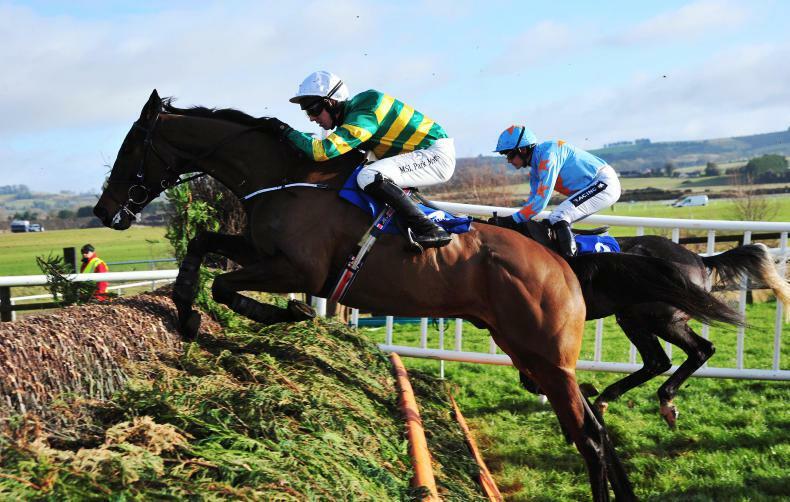 He won the hard way in the Boyne, but there’s no doubt he was (and is!) very good. It was his first try at a trip further than two miles and he will stay further, I’m sure. 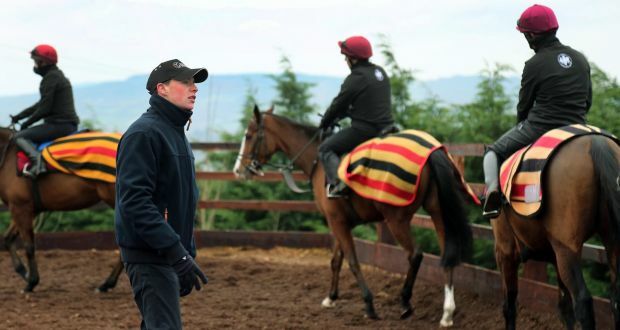 I know Gordon Elliott and everyone connected are really looking forward to going chasing with him. All involved with Jezki should also be looking forward to the future even though he was beaten by Tombstone in the Red Mills Hurdle at Gowran on Saturday. If he was going to get beaten, he was entitled to get beaten there. The ground was very testing and it was only his second run back after a break. Tombstone is a good horse in his own right too, so I’m sure on reflection connections won’t be as disheartened as they were initially.Champion Hurdle, Stayers Hurdle, it’s still all open to him and there’s no rush for anyone to make the call. There was a third Joseph O'Brien-trained winner on the night at Dundalk when Song Of Love landed the concluding Racing Post Handicap. All the O'Brien winners were ridden by different jockeys. Donnacha O'Brien was on Remember The Days in the 6.00, whilst it was Connor King that guided Ligeti into first place in the 7.00. In this 'night-cap' meanwhile, Wayne Lordan led them home on Song Of Love, as little more than a length and three parts separated the first across the line. Song Of Love had the upper hand on runner-up, Duchessofflorence, by a neck. "He's a grand horse and he has been running very consistently all winter," said Lordan. "He's been running well over a mile-and-a-quarter and a mile-and-a-half so it's nice to get his head in front again. "He tries. They need to go a gallop for him over a mile-and-a-quarter but he gets the mile-and-a-half really well. He's a real fun horse." 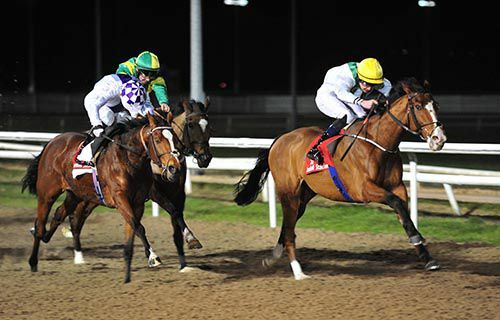 On a good night for the O'Briens, Joseph doubled up at Dundalk when Ligeti landed the second split of the Contract Floor Coverings Handicap. Following on from his win with Remember The Days (ridden by Donnacha O'Brien) an hour earlier, here 5/2 second favourite Ligeti was partnered by Connor King donning the Michael Tabor silks. The victorious Rip Van Winkle gelding merely needed to be nudged out to keep Voyageofdiscovery at bay by a neck. "That's my first winner for Joseph and it's great to get it. I'm grateful for the ride," said King. "He's a lovely horse and hopefully there will be more to come." 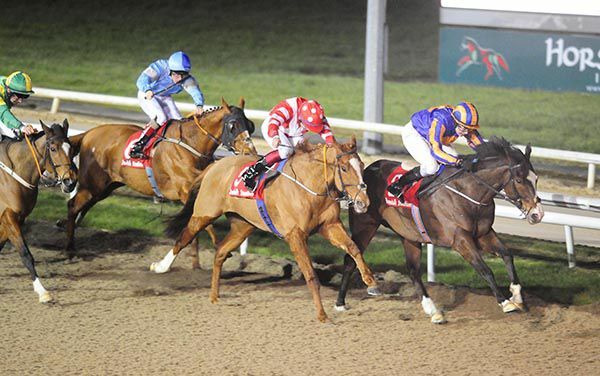 After a win for Ana O'Brien in the first on the Johnny Levins-trained Palavicini Run, her brothers Joseph and Donnacha were on the mark in the second event at Dundalk, with Remember The Days in the Print Express Maiden (Plus 10 Race). Donnacha O'Brien flagged up the fact that he might put up a couple of pounds overweight on the first-time out Kyllachy colt. 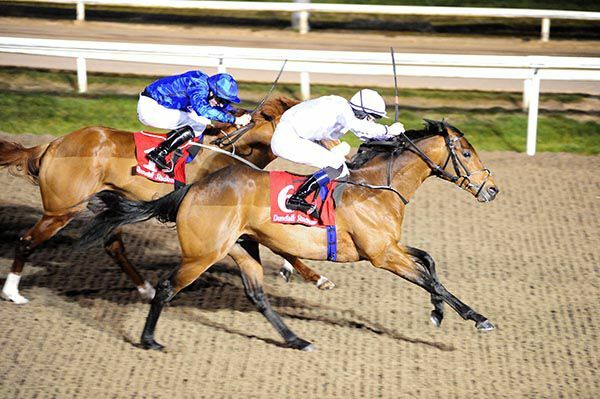 He duly did a pound 'over' on 14/1 shot, Remember The Days, but that proved no barrier to success as the Malih Lahej Al Basti-owned three-year-old got the better of Allography by half a length "I thought he'd improve plenty for the run but to be fair to him he pinged the gates and he was very straight forward for first time out," said the winning rider. New Horses Ballybrowney Jack, Early Doors & New Owners Patrick Pyne and JP Magnier. 2 of the 2 year old colts have just been named. Joseph's one-time ante-post favourite for the Grade 1 JCB, Triumph Hurdle, Housesofparliament is likely to miss Cheltenham and the rest of his juvenile campaign after he suffered an injury when he disappointed at Leopardstown on Sunday. The Group 1 St Leger third suffered a cut when finishing seventh of eight, 43 lengths behind the winner Mega Fortune, in the Grade 1 Spring Juvenile Hurdle. Joseph who also saddled the sixth, Bhutan, and the last, Sword Fighter that day, said: "Housesofparliament is likely to be out of Cheltenham and probably the rest of the season. 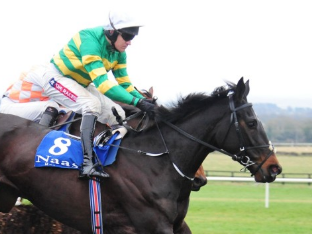 He suffered a nasty cut to his knee in the Grade 1 Spring Juvenile Hurdle at Leopardstown. I'm not sure as to when exactly the incident took place in the race. It's quite a bad cut and we will need to give him a few weeks before re-examining it. Hopefully he will be ok but at this stage I would say it is likely that he will be out for the remainder of the season now. Bhutan was having just his first start over hurdles at Leopardstown and should learn from that but Sword Fighter was probably a little bit disappointing." Joseph still has Landofhopeandglory, for the Cheltenham Grade 1 JCB, Triumph Hurdle he added: "Landofhopeandglory remains an exciting horse in the juvenile hurdle ranks but he will need to run once more before we make any Cheltenham plans for him. We plan on running him in a Grade 3 juvenile hurdle at Fairyhouse later this month and then make a plan from there." Plans are up in the air for West Coast Time, he chased home the ante-post favourite for the Cheltenham bumper Carter McKay at Naas on Saturday and Joseph said "Things are just a little bit up in the air with him at present, I thought he ran well behind a very good horse in Carter McKay at Naas on Saturday but it was a very messy race and we are just not sure whether Cheltenham will be on the agenda or not for him now. We will make a decision closer to the time." 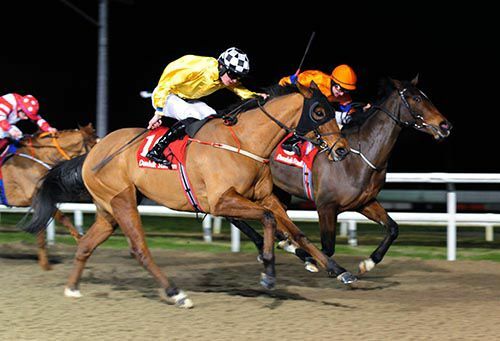 We had a good weekend with doubles at Dundalk on Friday night and Naas on Saturday. Tommy Welsh is steadily improving and found his level once handicapped. The handicapper has given him a 4lb rise bringing him up to a mark of 63. War Goddess received a 5lb rise bringing her rating to 71. The plan is to bring them both back to Dundalk on the 24th February. I was very pleased with Outspoken at Naas. His jumping was much better than last time – the race developed into a sprint and wasn’t ideal but I couldn’t be happier with how he did it. 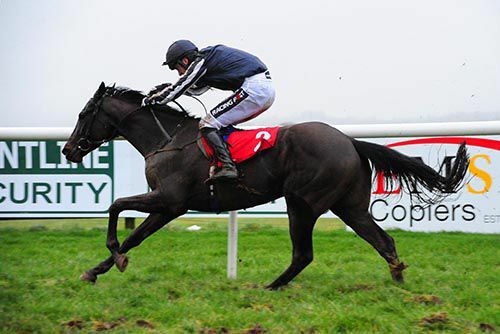 We’ll sidestep Cheltenham and aim him at a listed race in Naas on the 12th March. We’ll see how he gets on there but the big spring festivals are likely longer term targets. Slowmotion was given a superb ride by Mark Walsh to win the mares chase. He said he was always happy that he’d pick them up in front. She’s come out of the race well – there’s a good programme for mares during the spring so all of those races are options for her. I really enjoyed the racing at Leopardstown on Sunday. My own horses disappointed in the juvenile hurdle, although Bhutan didn’t run too badly on his first run over hurdles. Robert Power was very confident he’d get the three miles before the race. He was very strong to the line so I think connections will give the Gold Cup a shot. He’s still a young horse, and with more improvement possibly to come, I think he’s fully entitled to his place in the line-up. I’ve no doubt the stiff finish at Cheltenham will play to his strengths. I’ll finish this week’s blog by complimenting Patrick Mullins on his ride aboard Bacardys. I thought he executed a great patient ride – he didn’t force him and he played his cards as late as possible. He seems a tough horse and would be an obvious type for the Albert Bartlett next month. Owner J.P. McManus, trainer Joseph O’Brien and jockey Mark Walsh combined for a double at Naas today as Slowmotion overcame a dire in-running position to win the featured Listed BBA Ireland Ltd Opera Hat (Mares) Chase. The five year old mare became detached from his four principal rivals with five fences to jump and was still adrift of the field turning for home. However to Slowmotion’s credit she gradually picked off her rivals before improving to lead past Solita on the run-in, to score a four lengths win over that rival. The 9/4 chance had matched at 40 (39/1) in-running. Afterwards trainer O’Brien, who supplied McManus and Walsh with earlier success through Outspoken, stated “Mark gave her a peach and let her find her feet early. She’s tough and she stays and even though the trip was on the short side, she stuck at it well. 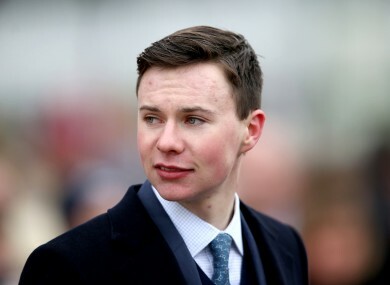 The Joseph O’Brien trained, J.P. McManus owned Outspoken (8/15f) made it third time lucky over jumps at Naas today, landing the opening Credo Pizza Supporting Kill GAA Maiden Hurdle under jockey Mark Walsh. 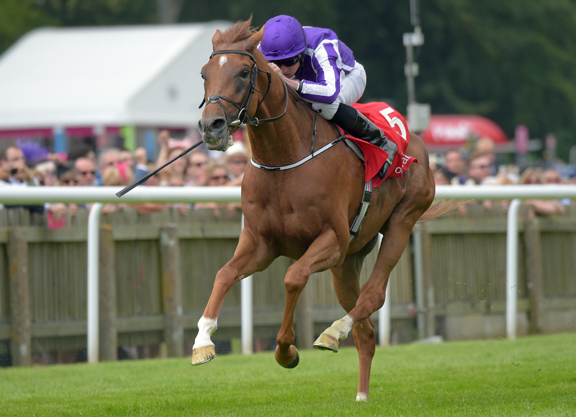 The son of Galileo had won two of his initial Flat starts for the trainer’s father Aidan O’Brien in 2015 and finished his Ballydoyle spell with a flat rating of 101. Today Outspoken put that ability to good use and while he blundered at the third last flight, stayed on strongly in the home straight to comfortably beat Icario. After the race, Frank Berry, racing manager to McManus, stated “they didn’t go much of a gallop but he quickened up well over the last three and did it well. You’d be pleased with him and he’ll learn a little bit more - he has a bit to learn about jumping. “He quickened up well because the other fella (Icario) looked like he came with a bit of horse beside him. By Tom Weekes, quotes from Gary Carson. I ride HOUSESOFPARLIAMENT (2.30) in the Grade 1 Spring Juvenile Hurdle. He was a top-class flat horse, he finished a close-up third in the St Leger at Doncaster in September, and he ran a good race at Christmas on his first run over hurdles. Meri Devie beat us by five lengths that day, but hopefully Housesofparliament has improved since then. I schooled him at The Curragh since, and he jumped well. Hopefully he will be better for his hurdling debut, hopefully he will be a bit sharper. Joseph O'Brien is keeping his fingers crossed Housesofparliament can find the necessary improvement to make his presence felt in the Spring Juvenile Hurdle at Leopardstown on Sunday. Beaten just three-quarters of a length into third in the St Leger at Doncaster last September, the son of Galileo is clearly an exciting recruit to the jumping game. He made his National Hunt debut in a maiden hurdle at this venue over Christmas and while he was no match for the reopposing Meri Devie, that experience will not have been lost on the Galileo gelding. Joseph also saddles Royal Ascot hero and Group Two winner Sword Fighter, who was fifth in the same Leopardstown maiden hurdle, and Bhutan, who has not been seen since beating Housesofparliament on his only Flat start here last April.
" Housesofparliament ran a good race to finish second here the first day and we're hoping he'll come on from that," said the trainer. Sword Fighter has had a run as well, so hopefully he'll improve, and Bhutan is a nice horse having his first run over hurdles. He beat Housesofparliament on his only run on the Flat and the experience will do him well." The JP McManus-owned trio are part of a strong team transferred from Aidan O'Brien's stable to go jumping in the famous green and gold silks. The most prolific horse to have made the switch is Landofhopeandglory, who won his first three starts over jumps before finding Bapaume too strong here in December. Joseph decided against running his charge this weekend, but he could still have one more outing before a likely appearance in the Triumph Hurdle at next month's Cheltenham Festival. He said: "He's in good form and he'll either go straight to Cheltenham, or we could run in a Grade Three in Fairyhouse beforehand." 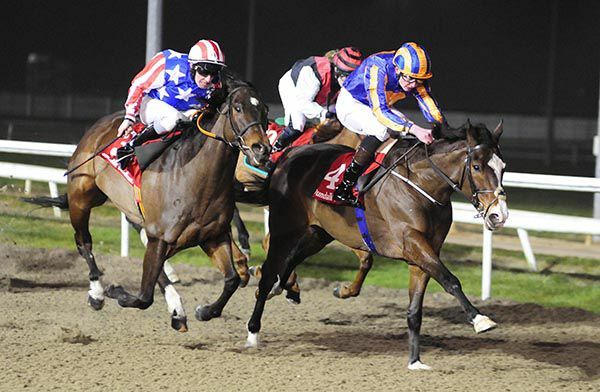 Joseph and Donnacha O'Brien took both divisions of the McGeough's Bar & Restaurant, Dundalk Handicap at combined odds of 34/1 with War Goddess landing the finale tonight at the Dowdallshill venue. Half-an-hour on from the win of Tommy Welsh, War Goddess headed the betting at 4/1 and she was generous in her response to her rider's urgings to touch off King Christophe by a neck. Donnacha O'Brien said: "I wasn't really sure which one of Joseph's was best before the race. She ran well the last day although things didn't really go her way. She has a good attitude. Joseph O'Brien's other runner, Ruby Gates, finished eighth under his sister Ana. ©Healy Racing PhotosJoseph O'Brien sent two into battle for division one of the McGeough's Bar & Restaurant, Dundalk Handicap. Brother Donnacha took the reins on Tommy Welsh (8s into 6s) and he got home in front in a tight finish. Little over a length and a half separated the first five cross the line, and Tommy Welsh wasn't to be denied as he got the better of New Direction by three parts of a length. Donnacha O'Brien commented: "He's genuine and stayed the trip well. It's great to get a win with him, and hopefully he can win another one or two." Tommy Welsh began in a Galway bumper back in October. He was triumphing tonight on outing number five on the level. Buveur D’Air put himself right in contention for the Champion Hurdle after that very impressive performance in the Contenders Hurdle at Sandown on Saturday, especially now that Faugheen has been ruled out. Barry Geraghty gave him a great ride and he won very snug. He travelled well and couldn’t have done any more. He will have to step up in class for the Champion Hurdle and it’ll be a big jump for him, but with Faugheen out of the race, he has every chance. Top Notch was another good winner for Nicky Henderson in the Scilly Isles Novices’ Chase at Sandown. Daryl Jacob gave him a good mount and he is right up there in the betting for the JLT Novices’ Chase. He’s well entitled to be there and is a great hurdler. Douvan was ultra-impressive in the BoyleSports Tied Cottage Chase at Punchestown on Sunday and you could never say he looked in doubt at any extent. He jumped very well and won as easy as you like. Looking ahead to Cheltenham, it’s very difficult to see anything opposing him. Ruby seemed very happy with him and he’s just such a quality horse to travel with great cruising speed. He settled so well also and jumped well and it’s hard to see if there’s a chink in his armour. Isleofhopeanddreams won well yesterday. He travelled into the race very well and quickened up well. It looked like a very competitive race on paper beforehand. He looks like he’ll be very competitive in these big three mile handicaps. Important announcement-A big thank you to all who have visited the site over these past months you have helped us reach over 20,000 visitors from 81 different countries, you are the ones who make it all worthwhile.